Americans are good at many things and one area in which we excel is shopping. As a nation of consumers we are great at getting what we want, usually at a very good price. Often times those low prices have a catch: many low-cost items come from overseas markets where labor is cheap, working conditions are bad, and transporting goods is energy inefficient. As we struggle to regain strength in the economy, there is one, easy way to support our national interest: buy American made goods on Nov. 19th! What is special about Nov. 19th? It has been selected as the first annual American Made Matters® Day to increase awareness and support of manufacturers and companies that are working throughout this country to revitalize the manufacturing industry. Buying goods produced in this country has far reaching benefits beyond just supporting the company you are buying from. As an intertwined economy, American manufacturing supports and creates jobs from the supply chain to the support services and boosts the economy in each part of the operation. The goal of the American Made Matters® organization “is to educate consumers that buying US-made products strengthens the American dream.” How? By spending money on goods made in this country, more money gets invested in the economy and more jobs are created. As production expands in this country, the demand for manufacturing support and expertise expands leading to job creation. All industries have a stake in increasing and strengthening the manufacturing industry. By purchasing from U.S. manufacturers, there is a reduction in pollution because products don’t travel as far. You would also be sure that the production process meets labor laws and provides for a safe working environment and reasonable wages for employees. It is getting easier to find items made in America: look for the American Made Matters® logo or browse through a list of member companies. And even Wal-Mart is taking this seriously by sourcing footwear from a new factory in Georgia and committing to buying an extra $50 billion in U.S. made products over the next 10 years. Now is the time to start planning for the holidays and by spending just $64 this season on American-made goods, 200,000 jobs could be created. Just add America to your gift list this year and buy American! October is Manufacturing Month: Let’s Celebrate! Manufacturing is an industry that isn’t thought of very much in the minds of most consumers or career seekers anymore but it was, and still is, the backbone of what makes America a strong and successful nation. Manufacturing has been through some tough times in the recent past but the industry today is rebounding from years of decline and job loss. But, to stay competitive, the U.S. must continue to maintain a strong manufacturing sector. That’s where Manufacturing Month comes in. To raise awareness of the industry, leaders such as the National Association of Manufacturers, NIST, and the Fabricators & Manufacturers Association International deemed October as Manufacturing Month. The first event of the month kicks off on Oct 4th with Manufacturing Day. This second annual event gives manufacturers an opportunity to reach out to their communities with information about the work that they do and the importance of the industry. Companies nationwide, large and small are participating. The events include open houses, plant tours, career seminars, and many other activities. The month continues to feature manufacturing-based events as companies and States proudly display their Made in America stamp. For example, Wisconsin is sponsoring programs aimed at advancing women in manufacturing and discussing career opportunities at large manufacturing organizations. According to NAM, “Taken alone, manufacturing in the United States would be the 10th largest economy in the world.” That is an astonishing fact and one that we should be proud of. But manufacturers are still struggling to find qualified workers to continue the tradition of producing valuable goods and services. Take a minute to think about how manufacturing has daily impacts and learn a bit more about a manufacturer near you today. Every employee in every field, industry, and business is entitled to a safe workplace. It is truly the one thing that no one should have to worry about when going to work. The benefits of a safe workplace are many—the first one, of course, being the obvious benefit of healthy workers. Providing a safe work environment is just the right thing to do. Secondary benefits include high morale, which leads to increased productivity and a more successful business, and financial advantages. Safe work environments mean lower insurance costs and legal fees, reduced worker’s comp claims, and fewer disruptions. As the government agency dedicated to keeping American workers safe and healthy, OSHA has myriad programs and methods in place to achieve this goal. Their new Injury and Illness Prevention Programs take it a step further, by continuously allowing employers to find and fix hazards, and prevent injury. The many facets of the programs include hazard identification, assessment, worker participation, training, education, and management leadership. You can learn more about the programs here. At H&H Polishing, we take worker safety extremely seriously. We rely on our employees, and believe they should always feel safe, as well as comfortable bringing any safety issues to our attention. We have a rewards program, which provides prizes to our employees each time we go a month without accidents. This is based on both individual and group performance, with safety attendance and performance requirements for individuals, and safety criteria for the group. When set objectives are met, people are rewarded. We start off every morning with a safety meeting to discuss, any near misses, safety observations, and ways of prevention and improvement. Our owner also sits down with the employees and asks them, in an honest, open forum, to bring any concerns to his attention, so he can address them immediately. He truly wants them to know they are being heard. At the end of the day, safety matters more than anything else, and we take it very seriously. STEM education—science, technology, engineering, and mathematics—is vital to everyone, and is a part of every aspect of life. From the science of the natural world we live in, to the technology we use every day that entertains and sustains us, to the engineering that designs our surroundings and dwellings, to the math that runs our finances and businesses, it exists in everything. Now consider its role in American manufacturing. The industry is rebounding because of the innovations and technology of American companies. These companies will get and stay ahead because of the role of STEM, and through a workforce educated in all that it encompasses. No company that produces goods of quality and engineering excellence can do so without employees who are skilled and knowledgeable. This is why STEM education is so important to our future—the future of our economy, our manufacturing industry, and our children’s success. According to this article, “in math, U.S. eighth-graders were outperformed by their peers in 14 countries: Singapore, Republic of Korea, Hong Kong SAR, Chinese Taipei, Japan, Belgium, Netherlands, Estonia, Hungary, Malaysia, Latvia, Russian Federation, Slovak Republic, and Australia.” Thankfully, work is being done on the local, state, private, and federal level to fix this, and to promote and encourage STEM learning. The White House launched Educate to Innovate in 2009, a campaign combining the efforts of the national government, foundations and not-for-profits, educational institutions, and business leaders. Over the next decade, they plan to recruit and prepare 100,000 new teachers for STEM education. Additionally, the STEM Education Alliance is working to raise national awareness of the issue, and to promote change. Throughout the country, similar efforts are being made by teachers, colleges, local governments, and parents. Manufacturing is the true backbone of this country, and it relies on a future of educated, skilled young people who are prepared for successful careers that make a difference. In any manufacturing environment, safety is always a top priority. But, safety standards need to be at the forefront of everyone in the plant and that isn’t always the case. It isn’t because employees want to be unsafe, it’s just that people often forget rules and regulations and often need to be reminded of proper procedures. That’s why National Safety Month is important: it helps employers focus the attention back on safety and it is the time to reinforce plant safety regulations and procedures. Maintaining a safe working environment protects workers from injury and prevents disruptions in the facility. Safety training may be an annoyance to workers who have been on the job for years, but it is important to stress the basics because accidents aren’t planned. (That’s why they are called accidents!) By periodically refreshing procedures such as forklift training and reminding workers to wear their personal safety gear (glasses, hardhats, earplugs, etc.) they are protected in case something unforeseen happens. Safety training lets the employees know that they are the most important aspect of the work environment. In January 2013, new legislation was introduced in the U.S. Senate. In light of National Safety Month, this legislation offers another sort of protection. The two bills aim to protect high-risk facilities from terrorist attacks. Implementing inherently safer technologies, “the Secure Water Facilities Act (S. 67) and the Secure Chemical Facilities Act (S. 68) would require high-risk drinking water and wastewater treatment plants and chemical facilities to assess their vulnerability to attack, develop a plan to address those vulnerabilities and respond to an emergency, and provide worker training to carry out the plan.” These bills aim to protect workers as well as the public that is served by these facilities and aims to make everyone aware of vulnerabilities that may exist. Click on the links for more information: S.67 and S.68. At H&H Polishing, we are serious about providing and maintaining a safe working environment because we value our employees. We provide equipment training, stress the importance of personal safety, and offer continuous training in certain aspects of the job. For example, our confined space training is offered as an online course that tests employees on various hazards and the use of safety equipment. A final passing certificate lasts for 3 years and then the course is repeated. It is important to us to inform our workers and to keep them up to date on all safety procedures. We wish you the best for National Safety Month! 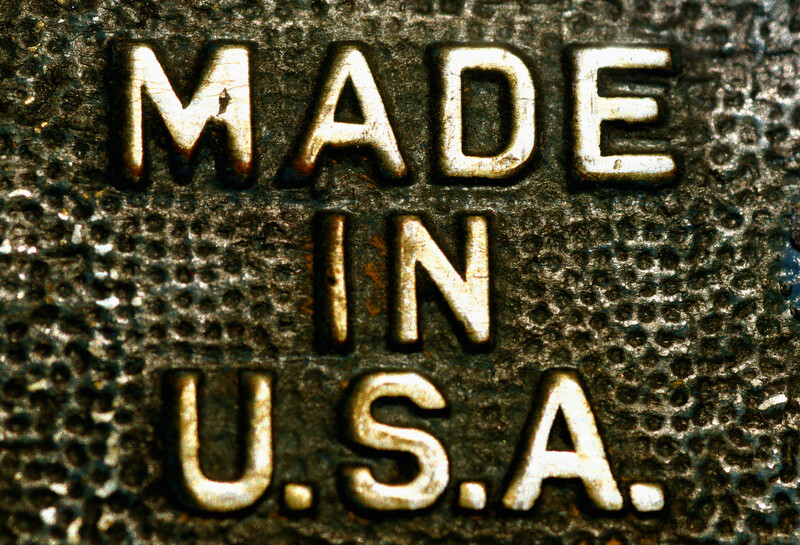 What’s the Latest on Reshoring? As the economy begins to make movements toward a stronger recovery after the worst recession since the Great Depression, many news outlets and manufacturing sector analysts have been talking about the movement of companies to “reshore” their manufacturing operations. 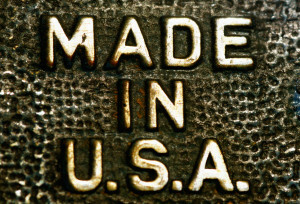 Reshoring is the return of jobs, factories, and operations previously done outside of the United States. The movement by large companies like NCR, Ford, Oracle, Apple, and GE to relocate some of their manufacturing facilities to points in the U.S. appears to be the tipping point for a larger scale development within manufacturing industries. In a recent survey, 14% of U.S. companies said they “definitely plan” to move some manufacturing back home, according to The Wall Street Journal . Another study by MIT earlier in the 2012 found 33% of surveyed companies said “yes” when asked if they were considering a move to reshore. The movement to reshore has many factors behind it including higher energy prices (making costs to transport more expensive), increasing worker wages in China and India (again, adding to the overall costs), a need to improve quality, and increases in innovation domestically (making it less costly to produce in America). As manufacturing is brought back to the U.S. shores, the issue of skills gap will be front and center. This is the lack of educated workers to fill the various technical and even non-technical jobs in manufacturing. However, there recent activities to decrease this gap in education may offer glimmers of hope. According to Scott Paul, Executive Director of the Alliance for American Manufacturing while speaking at the “Reshoring Summit,” he highlighted activities that are moving toward closing the skills gap. These include a government program called “Skills for the Future Initiative.” This program works with companies like PG&E and United Technologies and matches them with community colleges. Together they develop school programs for students to take that will give them the necessary tools to excel in the manufacturing workforce. This program has a goal of enrolling and graduating 5 million community college graduates by 2020. H&H Polishing has begun to see some activity of clients and suppliers around reshoring, but nothing has been substantiated yet. A couple of companies have told H&H that they are trying to reshore because their customers need faster lead times for parts to get manufactured. Currently, the shipping time from China is normally 6 weeks, not to mention manufacturing time required. Whether this is a long term trend or only a trickle will be seen in the next few years. Many companies that focused on high American labor costs moved their operations abroad, not calculating shipping costs, energy costs, quality control issues, and risks to intellectual property problems. Whether they quickly return the work and the overseas jobs to the U.S. or take decades to do so is the next phase of America’s manufacturing sector’s renaissance. Whether it is a trickle or a trend, H&H is excited to see it develop in to a major trend. Throughout our 25+ years of mechanical polishing experience, we run into common misunderstandings about what sort of finishes our customers think they want. Due to the fact that there are different terms used in the industry, this is a relatively common occurrence. Given our history and expertise, we’re able to provide context and explanation to the confusions and deliver the exact finish our customers want and need. It is important to us that we take the time to discuss the various finishes with our customers, and that H&H Polishing is the company that can accurately deliver every time. A question often asked is if the numbers stand for anything? They stand for visual appearance. A number 3 architectural finish is very coarse, and it would give a brushed look. A number 4 is a dairy finish. While they look very similar the Dairy is finer, and the lines aren’t as deep which is what allows Dairy companies to avoid bacteria growth. We are guided by what we call the Mill finish, and these finishes are individually numbered. For example, in a pharmaceutical or food related industry the type of finish needed has to have a specific RA value (roughness average). Our equipment can measure that, and determine what number finish would best suit their needs. We always take the time to carefully explain the reasoning, and why the finish should be achieved with that particular number. Because the names of finishes can vary by industry we are required to do a good deal of cross-referencing. For instance, we have customers in the fabrication industry who may request a 120 grit brush finish. Customers in the architectural and fabrication industry call for a specific grit. Grit refers to the texture or fineness of the sand paper used. We understand this terminology and automatically know this is a number 4 finish. #7 finish. This is semi bright, and you can almost see a reflection in it. #Super 8 finish: No lines at all and crystal clear. For more information you can visit our Website or call us at 704-393-8728. We’ll soon be speaking the same language and delivering you the polished finish your products need and deserve. Welcome to H&H Polishing! H&H Polishing was founded in 1987 by a father-son duo with the intention of creating a company that delivered high quality metal finishing and excellent service. H&H has managed to become the company they envisioned by investing in the latest technology, constantly updating equipment, and hiring only the most skilled employees. Initially, H&H Polishing catered specifically to the heavy trucking industry, but over the years, we have expanded into serving multiple other industries. We provide metal finishing services to those in the architectural, medical, pharmaceutical, packaging, automotive, and pipe and tubing industries, just to name a few. Since the founding of our company, we have added new equipment and capabilities, thus spurring a move into a larger facility, where we operate our ISO certified business. With the addition of new technologies, our company has had the opportunity to take on new products and projects. Utilizing our advanced techniques and experienced labor, we can handle polishing any type of metal, including stainless steel and aluminum, and can even measure surfaces to find RA values digitally. Unlike many other metal finishing companies that can only polish the exterior of pipes, we are proficient in polishing the inside diameter as well. Our wide range of finishes also helps us stay a preferred supplier to several OEMs. Since our start, we have always been dedicated to providing customers with the highest levels of service and quality, ensuring that we perform specialized metal polishing, grinding, and buffing services for our customers’ range of needs. H&H Polishing strives to be the metal finishing expert.